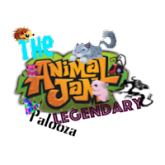 Animal Jam Legendary Palooza: Animal Jam Toys in Mcdonalds! 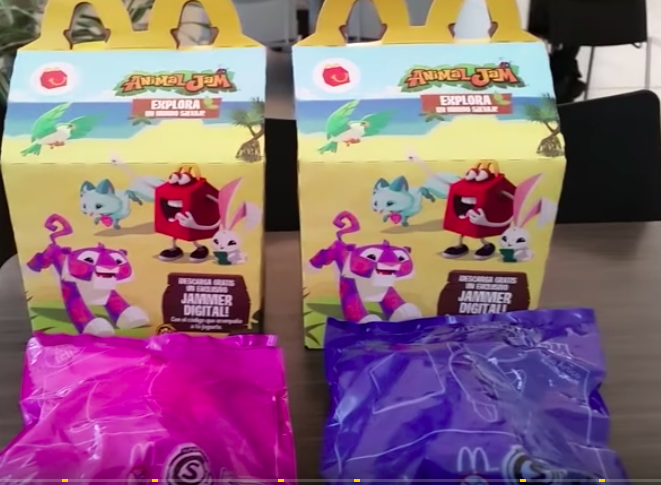 Animal Jam Toys in Mcdonalds! I can't believe its already been a week since I posted last. Yesterday my family and I saw a ventriloquest/comedian and it was really funny and good and I want to see him a again the next time he tours. I have to order something online though, cause they ran out of them! Oh well, we will see how this goes! I should of probably worked on it some more this weekend same with reviewing for math but I think I am ahead of some people in art so I will finish the rough draft tomorrow and hopefully start the new drawing. Anyway's enough of my life let's get on with the post! Today we have the new tombstone hat sold in jam mart clothing for 750 gems! Anyways, it looks good with greys! Also I don't know if you guys have noticed or not but. 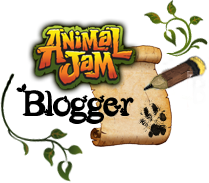 I updated the template and header of the blog to a more fall theme. Let me know what you think of it! 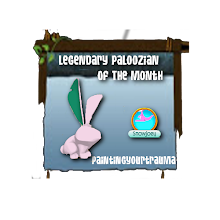 I also decided that since not many people sign or actually do sign up for LPOTM. I decided I would just do it if someone does ask. 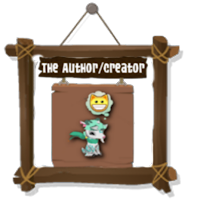 I am planning to make a graphic for that so yeah:) Oh yeah, I still need to work on something else... hmmmm. Give me a few weeks and hopefully I can do that! 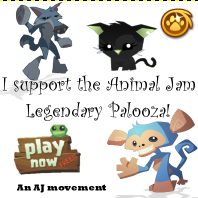 Today when I was checking Tigerlypaw's new animal jam blog. I was reading the latest post and found out that animal jam toys are making their way to Mcdonald's soon! There is ten differently types. 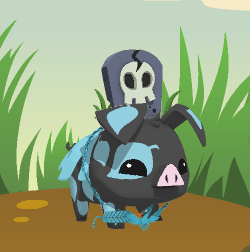 It also seems that if you look closely, they seem to look like mini stuffies, which would be really cute! Also with collecting these plushies, you get a promo code! 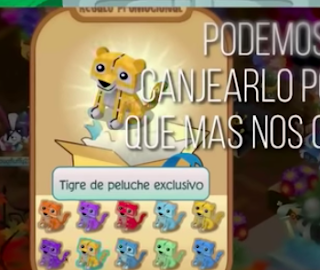 Shopking has posted about these promo codes and you can see the unreleased plushies on the animal jam wiki. 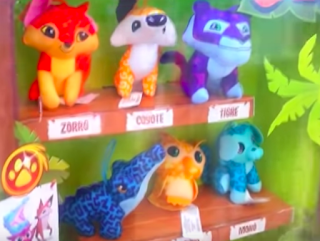 These plushies seem to look like you can change the colours which is a really cool feature. Overall, I think these are a pretty cool addition. I wish I could get them all!! I was actually wondering what was going on with the toy line since, they hadn't released anything major for it in awhile, like the actual toys. Ikr! I like the monkey and the fox, for my favourites! Hm. I might have to go to McDonalds for like the first time in my life. 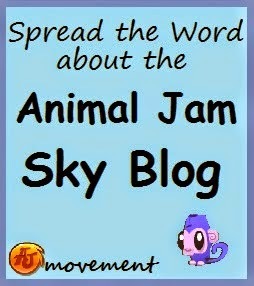 I'm glad the news of McDonald's Animal Jam promotion is catching on. 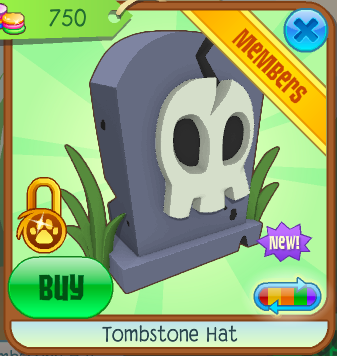 It's a great addition to be able to pick your own item color. Adds another value! Those are cool and cute!